Who can tell me how to "draw" a drill? Mango, I don't belive thats what Eric was thinking of. Personally, I do it the way Mango shows it. Not quite what Ima looking for, but it was very imformative! Nope, but very well presented! I thought this one would be nailed quickly. I'll give you another few days and if not answered Ill give you what I have. Maybe its outdated and other terms are used. Are you referring to draw boring a pegged mortise and tenon joint? After the mortise and tenon have been cut and fitted the peg hole is bored through the cheeks of the mortise with the tenon removed. The tenon is then inserted and the location of the hole through the cheeks marked, usually by inserting the brad point bit that was used to bore the peg hole into the hole and allowing the center point to make a dimple in the side of the tenon. The tenon is then removed and the peg hole bored through the tenon slightly closer to the tenon shoulder than the layout dimple. Then when the joint is assembled and the peg driven home it pulls the tenon shoulder tight. that is so close I will give it to you. 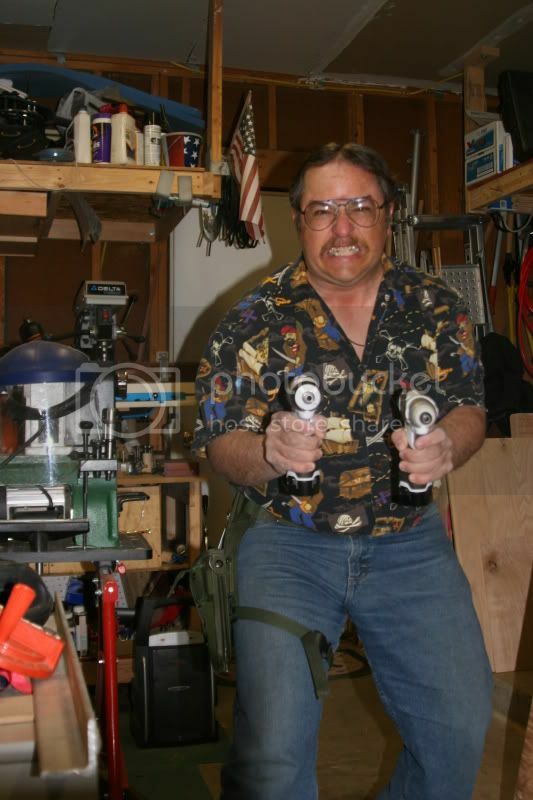 I was working for a book called "getting the most out of your Drill Press" Published by Delta a long time ago. The method I was looking for was about when you have laid out a job but when you start drilling you realize the bit is not centered on you layout. the process involves using a sharp cold chisel to remove a small relief on the side of the cut you want to move towards. While the concept was metal, I cant see why it would not work with wood. Anyone wants to help please pm me.